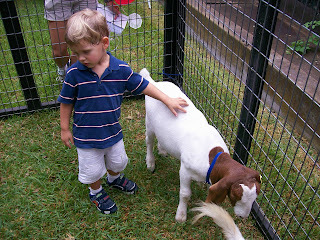 The petting zoo at Fair on the Square was great! 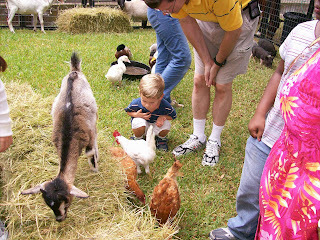 There were a variety of animals and most of them were extremely friendly. Dawson spent a lot of time here petting the animals. 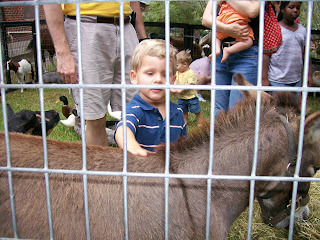 Petting the very sweet donkey. Petting one of the many goats. 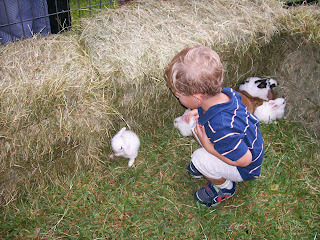 Looking at all the cute baby bunnies. 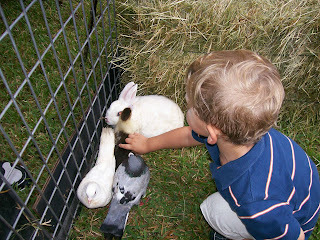 Petting the baby duck and the pigeons.